With a longstanding ethos to provide luxury leather goods that are handmade in England, everything about Pickett represents the unique character of artisanal luxury. Launched in 1988 by Trevor Pickett – the quintessential English eccentric – the Pickett brand has grown over the years and remains a proud purveyor of luxury goods. With over three decades of experience within the industry, Trevor has developed the brand into one offering a myriad of wonderful gifts and products. As firm advocates of the British leather goods industry, Pickett are one of the last remaining stores to ensure their leather goods are made in England from start to finish. Pickett stores echo the Pickett culture, providing unsurpassed service in an inviting emporium environment. From the moment you enter, we aspire to make your shopping experience a memorable and engaging one. 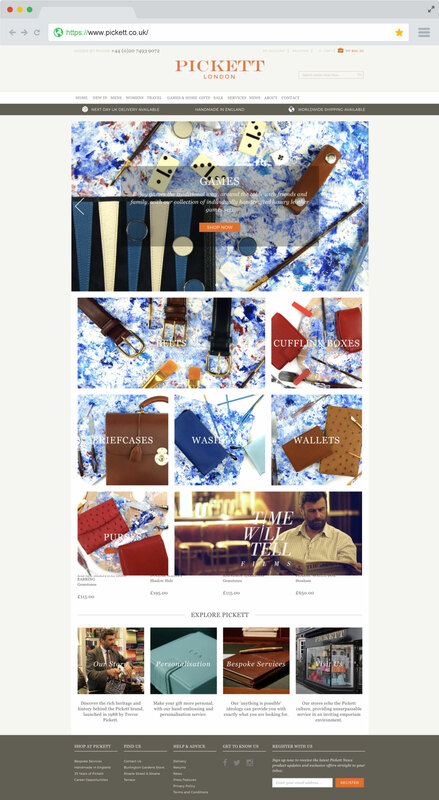 The Pickett website had to follow this quintessential English culture and ensure that the site delivered the same unique character as Pickett’s physical stores. What makes Pickett’s site so special is the organisation, management and automation. 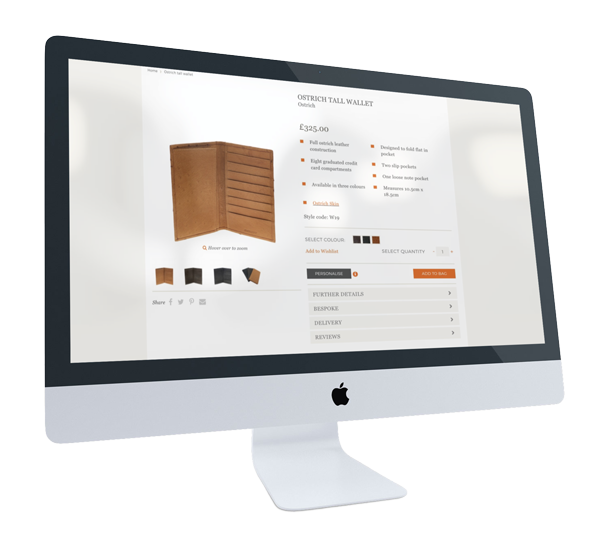 Screen Pages and Pickett deliver an incomparable, seamless shopping experience every step of the way. Responsive web design (RWD, also referred to as responsive design) was a key component of Pickett’s new website. Screen Pages had to ensure an optimal viewing experience across a wide range of devices (from large, high-resolution desktop computer monitors to mobile phones). 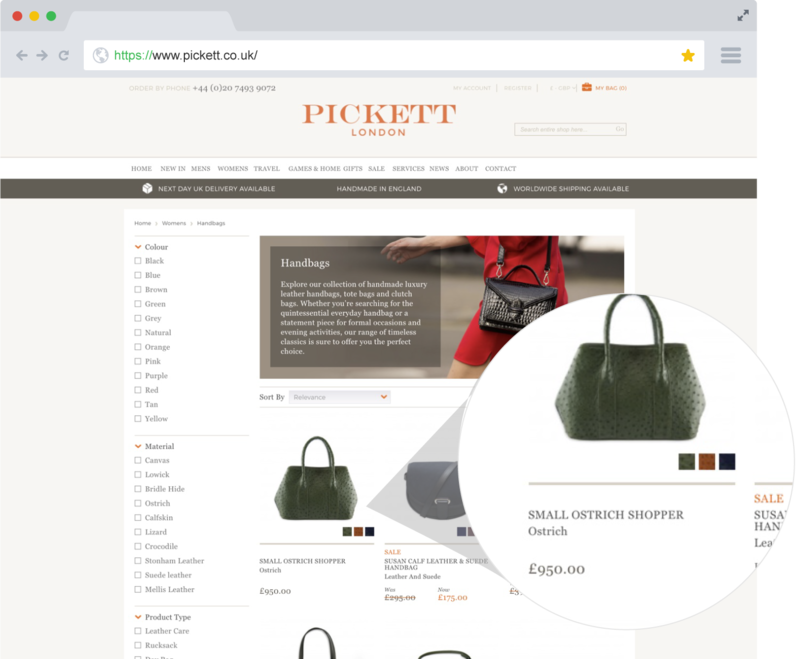 The objective was to ensure the user eCommerce journey and experience was as streamlined and efficient as possible, whilst maintaining high regard for Pickett’s passion for luxury and tradition.